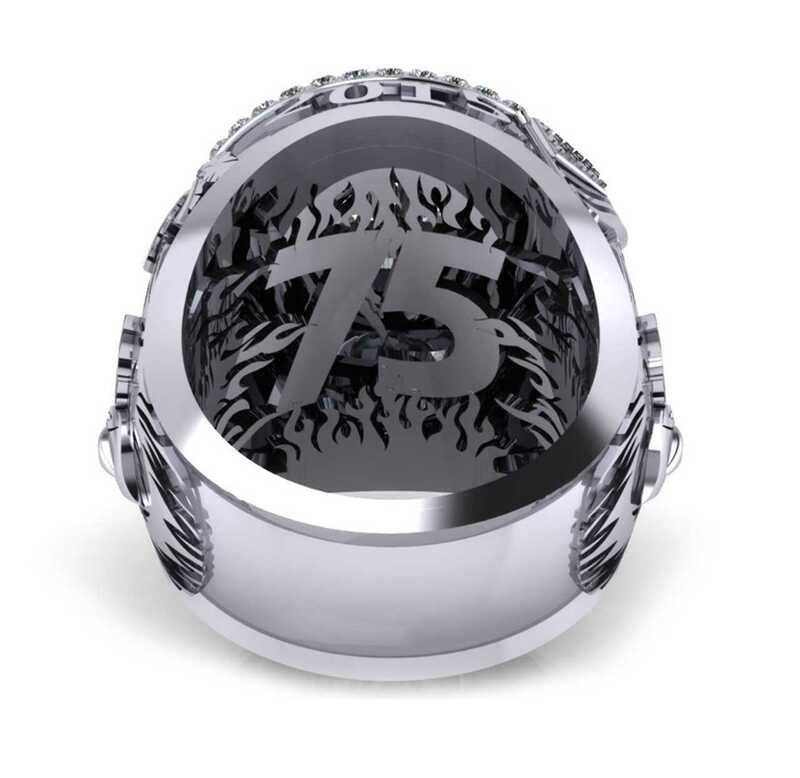 This 75th Anniversary Ladies ring is a beautiful work of art that celebrates the 75th Anniversary of Sturgis took over eight months to design and create. 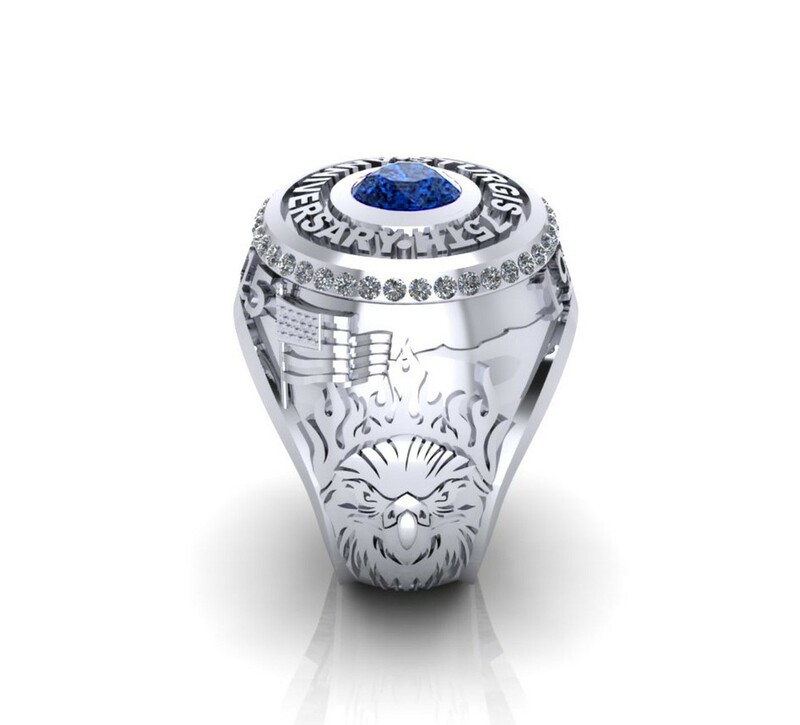 The ring is symbolic of Sturgis and the art reveals this. 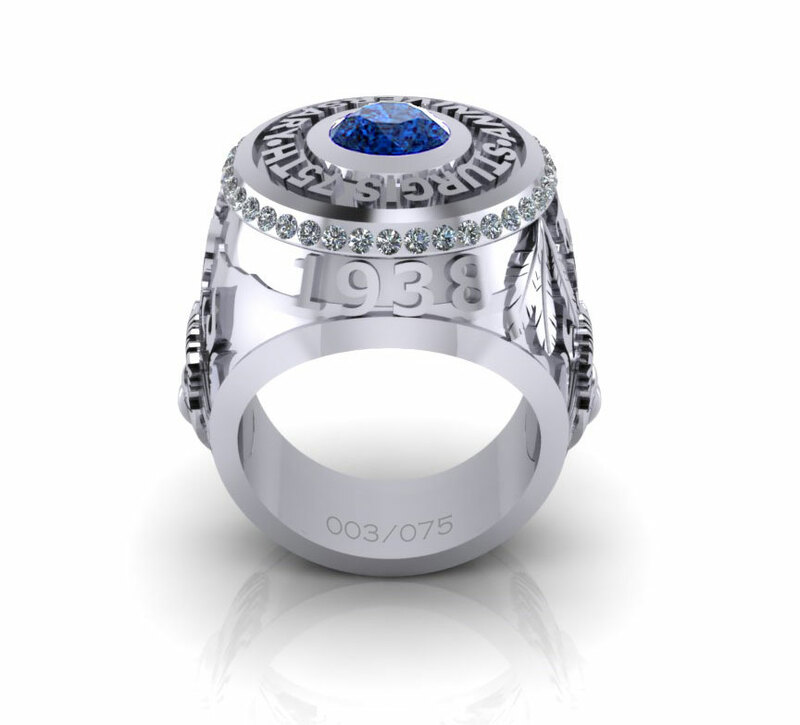 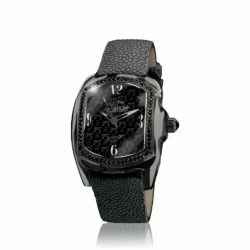 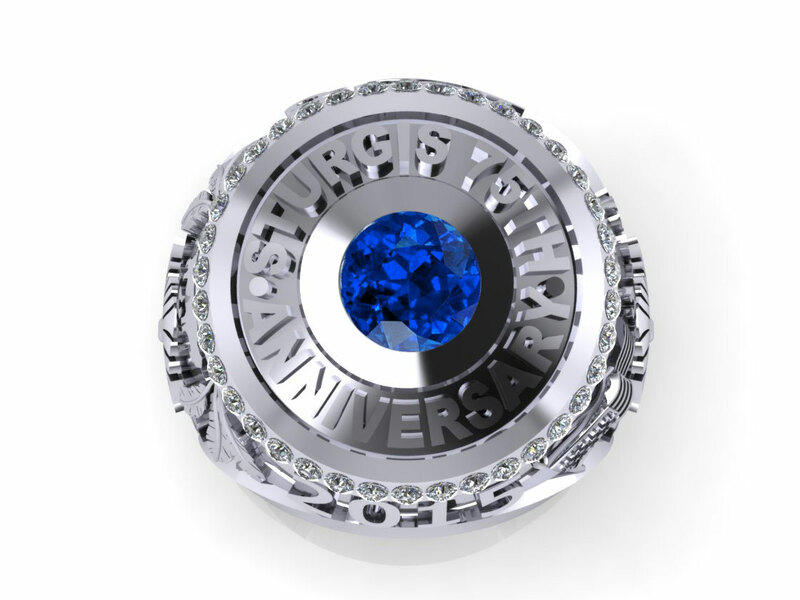 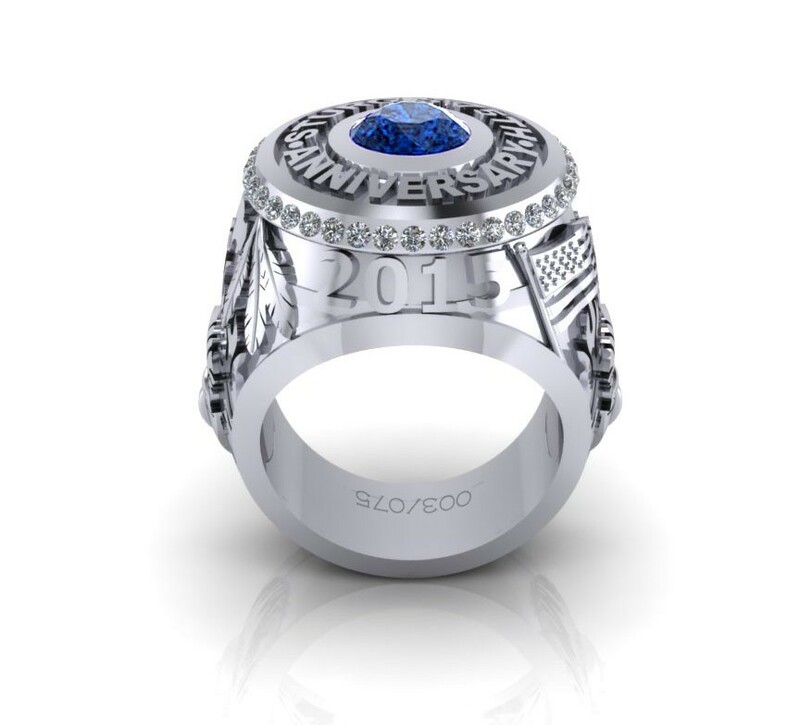 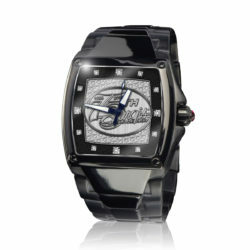 Crafted in 14kt white gold and accented with .85 ct white diamonds, sits a 1.5 ct. blue sapphire as its center stone. 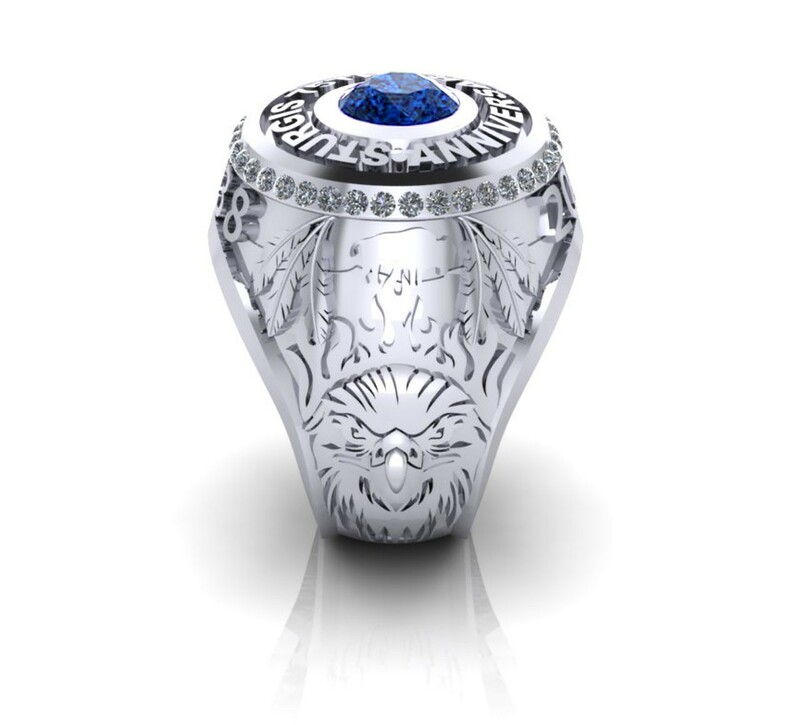 Its separate gallery in the back boasts a 14kt gold number 75 surrounded by brilliant flame work.